The EZ10 -- many features. TELIT Communications EZ terminal family of data products is comprised of standalone devices with complete GSM/GPRS cellular communications capabilities - including SIM holder and SMA f RF interface. 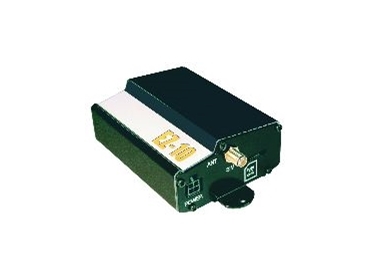 EZ terminal products act as an external add-on wireless-standard modem, with standard RS232 interface, connecting various end products to the wireless network for M2M (machine to machine) applications. * Python script interpreter inside for self-controlled operations. * Dedicated set of AT commands to scan (even without a SIM) all the 900/1800/1900 GSM channels. * Reporting of all available parameters. * Quality SMS, Fax, Asynch and Packet data services. * NEW: 4 GPIO on RJ11 connector. The EZ10-PYG is available immediately from Glyn or Telit distributor.